It’s summer 2008. Somewhere in a barren wasteland, a robot slowly traverses across the rocky terrain. The Parallax Quad-Rover, a Mars Rover, is making its way through the landscape. OSU student Ryan Albright looks on as this project — his team’s project — makes history. Of course, this Mars Rover is actually treading across the San Rafael Swell, a desert landscape in Utah, not Mars. And the geniuses behind this particular robot don’t work for NASA. Not yet at least. 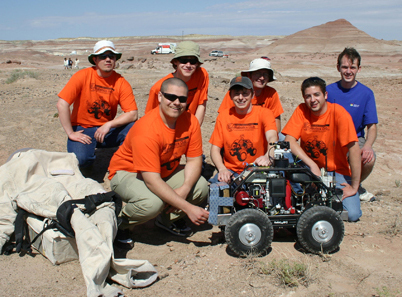 This Mars Rover was designed, built, and operated by OSU’s Robotics Club, a group of OSU students, including Albright. The final result of the project was an OSU victory over the other competing teams. Fast forward to today: Albright is the president of the Robotics Club and is involved in countless engineering activities. But it wasn’t always so. Albright came to OSU all the way from his native … Portland. After high school graduation, he recalls how pumped he was about coming to OSU. “I was excited to get out of high school,” he explains. 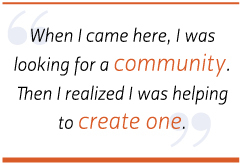 “I enjoyed high school, but it was always just the next step toward college.” Not only had he found a school that had exactly what he wanted — a brand new state of the art engineering center — it was in-state (close enough to Portland but far enough from Eugene). Although Ryan was looking forward to campus life, the transition wasn’t exactly what he pictured. “I remember that for the first time, I wasn’t doing better than everyone else in my math classes.” He admits being stressed out over midterms and finals just like everyone else. He was struggling to find his place at OSU. 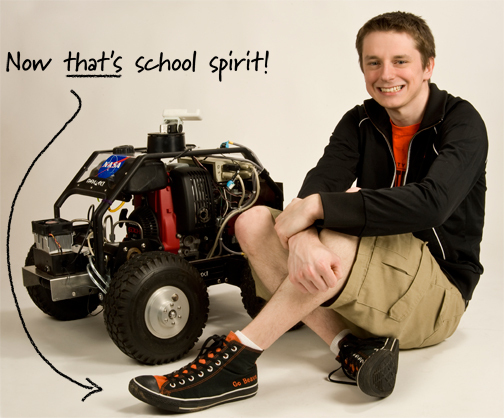 A pivotal moment in his freshman year was at the annual ice cream social for incoming freshmen — that’s where he learned of the OSU Robotics Club. The rest is history.